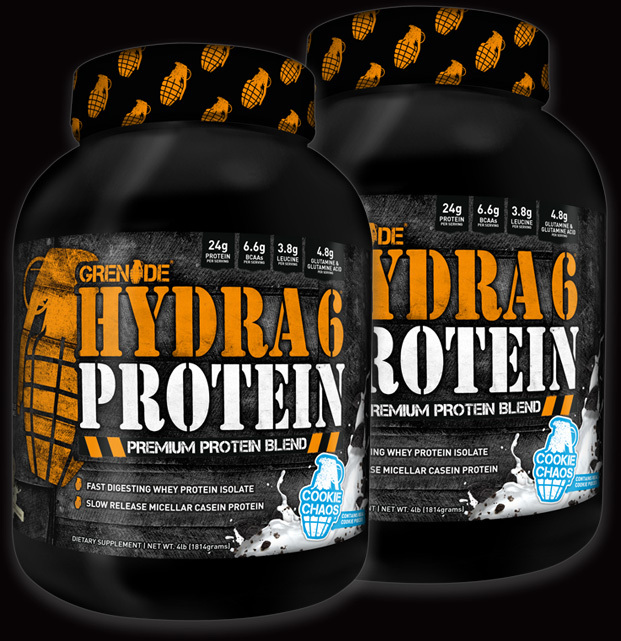 Hydra 6 by Grenade at Bodybuilding.com! - Best Prices on Hydra 6! 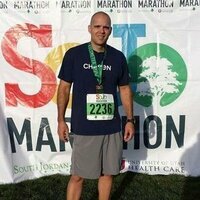 WHY IS 50/50 THE PERFECT RATIO? We should also mention - it tastes AWESOME! Mix 1 serving (1 heaping scoop) with 8ox. 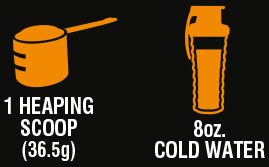 of cold water or milk in a glass or shaker cup. Hydra 6 is perfect for your post-workout shake or can be consumed anytime during the day. Drink 8-10 glasses of water daily while using Hydra 6. *Correct for 4lb scoop size. Please check on packaging for other sized product. Serving size may vary between flavors. Kerksick, C. M., et al. 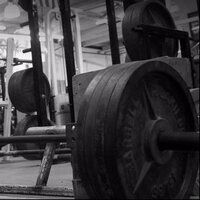 The effect of protein and amino acid supplementation in performance and training adaptations during ten weeks of resistance training. Journal of Strength and Conditioning Research 20(3), 643–653, 2006. Reidy, P. T., et al. Protein Blend Ingestion Following Resistance Exercise Promotes Human Muscle Protein Synthesis. Journal of Nutrition 143(4):410-416, 2013. Great tasting protein! The taste is not too sweet, just the right consistency. Mixes well with water & milk, leaves little powdery bits behind in shaker and in month, that’s why I use one banana in electric blender and top it up with milk and Grenade Hydra 6 (Killa Vanilla) works a treat! One of the best protein blends on the market, better than most major protein brands. 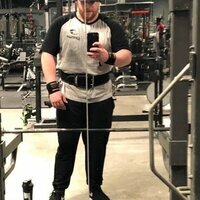 I would highly recommend it, works well for muscle gain and workout recovery. Did I mention it tastes GREAT..!!! Flavor - So far this is probably my second favourite flavour over a variety of protein I've tried. Can drink this with large amount of water (up to 24oz before I find it too diluted or as little as 6oz) which is a plus for me. I drink about 6 scoops a day usually and this is one of the few I have yet to get sick of. Product - With 25g of protein, 150 calories, and not much sugar (2g), along with sales that happen pretty frequently, not much to dislike about this product. This is one of the few that I recommend to people. Love it. Switched back to Hydra 6 after another leading brand changed formulas. Taste is very subjective and personal, but this product mixes better, almost instantly with minimal liquid - mixes well with more solid foods like oatmeal and yogurt without clumps. I know I remember strawberry being available in the past - Chocolate and Vanilla are both excellent choices. A great product that mixes easily and tastes great. There are real cookie pieces in this protein. The fact that it is a whey and casein protein is great so only one shake will do. The fact that hydra 6 is also all natural (foods that can be found in the human diet) is great aspect as well. The only drawback is for people that want a two pound size will not have it. Try it for yourself and see. 5th weeks using this product. 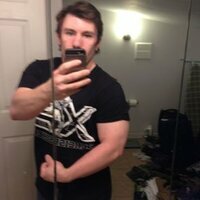 Significant muscle growth can see my body for the 2500cal 4-days workout per week. taste much better than the chocolate flavour of other product. Another best product in the market what I found. no effect on digesting. My favourite protein on the market. I like to go for a fast and slow acting protein mix. GRENADE serves us a transparent protein product containg high quality fast acting whey isolate and slow acting micellar casein. The two best protein sources of their kind. I can only recommend Hydra 6 in content, taste and texture. My number1. 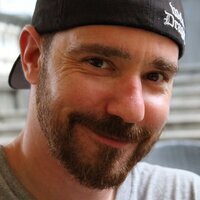 ADDITION: My wife is lactose intollerant. After trying a lot other Protein powders she once tried Hydra 6 is goes for it since. She does not have any bloating or any other issues drinkingit 2 - 3 times a day! This one of the absolute best proteins I have ever had. The whey/casein mix is great, keeps you feeling satisfied longer without that bloated feeling, no GI distress whatsoever, and tastes fantastic in milk or water and mixes perfectly. 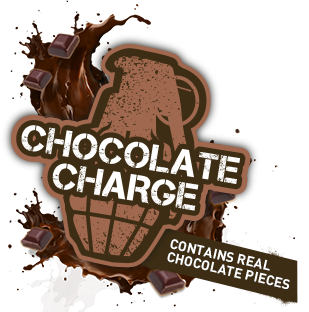 The Chocolate Charge is phenomenal. 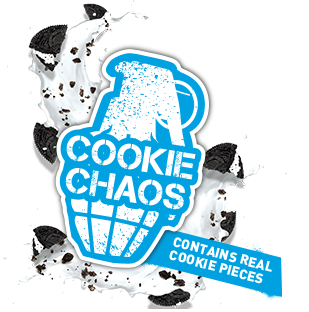 The Cookie Chaos flavor could stand to be a bit stronger but it's still really good. This is going to be my new go-to protein from now on. i loved it , it's so great . you ll not feel like you want to vomit after dunk it . This is the best tasting protein. I would highly recommend any of Grenade's protein products. Great protein product for those looking for a lower calorie protein blend. 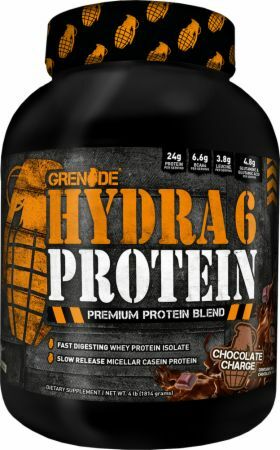 Hydra-6 tastes MUCH MUCH better than the EVL Stacked Protein I used before Grenade. 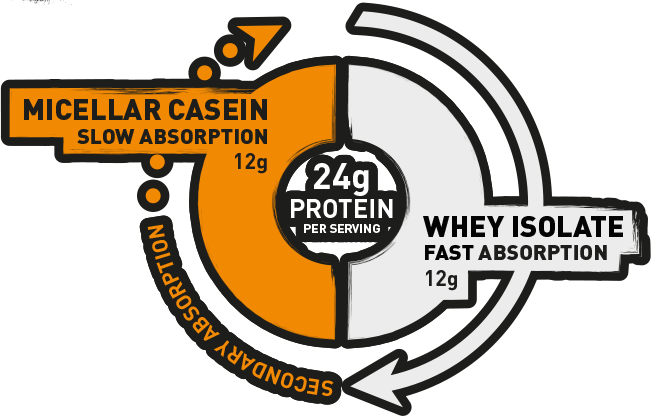 The 50-50 blend of casein and whey isolate is great, simple concept. 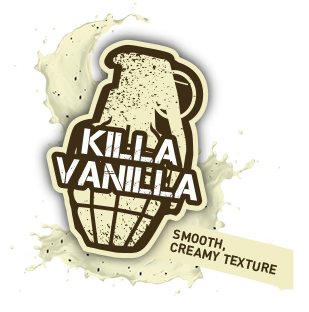 I hope to try some of the other flavors soon as Vanilla was very good, but well, it's vanilla. 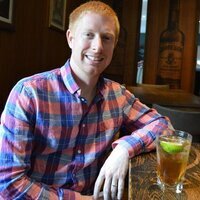 i cant wait to get my hands on strawberry siege! in the past i have like jym supps.. but hydra protein is now my fav!! absolutely amazing flavor and protein quality.the protein doesn't clump and mixes very well! I actually ordered this thinking it was 100% whey and not a blend, but I'm starting to like that style of protein. Without personally lab testing every protein powder, we generally assume they all have a degree of efficacy that's relatively consistent i.e. I'm assuming the actual "quality" of protein is as good other options. What I really came here for, is the taste! 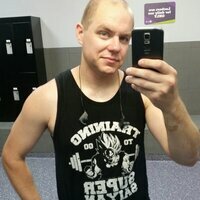 After being let down badly by Cellucor and their chalky, old-milk-smelling, terrible taste this was a complete 180! I'll actually just get right to my point: MOTHER OF GOD THIS IS THE BEST TASTING PROTEIN POWDER I'VE EVER HAD!!!!!! I've been an Optimum Gold standard user for the longest time and always used it as a benchmark to gauge others, and this Hydra blew it out of the water! It blends great, but when there are still clumps, it's still somehow smooth as opposed to the dry chalky clump that breaks open and leaves dry powder in your mouth. I'm also pretty sure there are tiny bits of strawberry or something in it. Glass of Ice Cold milk, scoop and a half of this, and it's straight up like drinking a strawberry malt! As I mentioned, I don't have to resources to test the overall "quality" and efficacy of this powder, but I can say that I'm absolutely loving everything about it. So. ****. Good! † Daily Percent Value not established. Whey Protein Isolate, Micellar Casein, Non-Dairy Creamer, (Sunflower Oil, Corn Syrup Solids, Sodium Caseinate, Mono And Diglycerides, Dipotassium Phosphate, Tricalcium Phosphate, Soy Lecithin, Tocopherols), Gluten Free Chocolate Cookie Pieces (Rice Flour, Sugar, Tapioca Starch, Cocoa Processed With Alkali, Palm Oil, Corn Starch, Salt, Natural Flavors, Sodium Bicarbonate, Soy Lecithin), Natural And Artificial Flavors, Cocoa Powder (Dutch Process), Sodium Chloride, Acesulfame Potassium, Sucralose, Silicon Dioxide. ALLERGENS: Contains Milk, Soy. Product manufactured in a facility that also processes the following allergens: Wheat, Egg & Peanut. 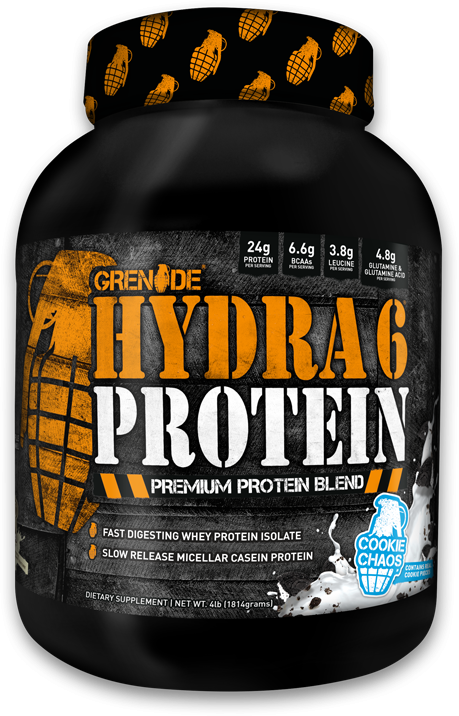 Directions For Hydra 6 Protein: Mix 1 serving (2 level scoops) with 250mL cold water or milk in a glass or shaker cup. Use between major meals and after exercise. Drink 8 to 10 glasses of water daily. Do not exceed daily recommended dose of two servings (4 scoops/70g). This product is a food supplement and should not be used as a substitute for a varied diet and balanced lifestyle. Keep out of the reach of children. Do not use if you are pregnant or lactating. Consult a physician or healthcare professional before starting any diet or exercise programme. Discontinue use and consult a physician or healthcare professional if you experience any unusual symptoms. Do not use if the packaging has been tampered with.